Yes, we do everything. Just ask. Don't be shy. We offer all types of printing: silkscreens, transfers, embroidery, custom names, numbers, etc. If you don't know what you need...we'll help you figure it out! If you have any special requests for your printing needs, just let us know. Screenprinting- This is the most common print method. Each ink color (in each location) is printed using its own screen. Price is based on # of colors and locations. Embroidery- Typically used on hats, jackets, bags, etc. Price is based on stitchcount/size. 1. Submit all of the info you have on our Start an Order page. Even if you don't have all of the information finalized, fill out as much as you can so we have a good starting point for discussion. Once we receive the quote request, we'll be in touch ASAP. 2. Save a design in our Design Studio. Once you save a design, our artists will take a look at it and a member of the Clothes On team will get in touch with you to see how you'd like to proceed. 3. Email us! You can email us directly at info@clothesonshop.com. 4. Call us toll free at 917-745-3456! I'm looking for (insert product here)...do you have it? The products we feature on our website represent about 2% of what we can print on. Instead of overwhelming you with options, we've displayed our most popular and simple options. We have literally thousands of options across hundreds of brands. Something special you want us to print on? Tell us, and we'll get it for you, no problem. You can also design your apparel on a similar item in the Design Studio, and let us know after we contact you if you'd like it on a different product. We'll send you a proof with your design on the new product, and you're all set. The most important question! But there's no simple answer. Prices on each order can fluctuate greatly based on quantity ordered, sizes, number of colors printed on the front/back, etc. Fortunately, we will always help you out by explaining exactly why something costs what it costs, and we'll always recommend ways to stay within your budget. Generally speaking, white shirts are less costly than dark shirts, fewer colors in your design are cheaper than more colors, and the higher the quantity of shirts you order, the lower the price will be per shirt. Products with higher quality fabrics or special features tend to be more costly than those without. When you contact us with a quote request or a design in the Design Studio, we'll present you with many different product options that best fit your need, and sometimes we'll be able to offer products not yet listed on our site. Either way, we'll always find something that works in your price range. How do I customize apparel with my own design/logo? There are two ways to customize your apparel. First, select the product you wish to customize either on one of our product pages, or by entering the Design Studio and selecting a product from in there. Then, you can upload your own artwork (.jpg, .bmp,.gif, etc.) inside the design studio and place it wherever you like on your product. If you don't have pre-made artwork to upload, you can choose from our thousands of existing design templates and alter them to become the design you want. Check out our Design Studio and see what you can come up with. It's easy! Also, check out our sampling of past designs we've done, and if you like one, let us know! I'm not artistic, can someone else come up with a design for me? Of course! In addition to our Design Studio, we have our own artists that can work with you to create the perfect design for you. Just submit to us your idea on the Start an Order page or email us at info@clothesonshop.com and enter as much information you can about the design you'd like. One of our artists will work with you to come up with something perfect for you. 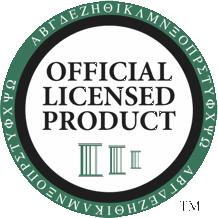 I'm in a fraternity/sorority and we're only allowed to buy our apparel from licensed Greek retailers. Can we buy from you? Clothes On Inc. is a licensed Greek retailer! We're very proud to have a relationship with the numerous fraternities and sororities we're licensed by, and continually add licenses from more and more of the organizations. What's the turnaround time for an order? From the time you approve your final proof to the time we ship your product to you is roughly 5-7 business days (if we're super busy, it could be 7-10, but we'll always let you know). Pretty quick! However, if you need it sooner, let us know, and we can usually work something out, and there's never an additional fee. We've turned around orders in as little as 36 hours! Just to be safe, we recommend you initiate the design process at least two weeks in advance, just in case there needs to be some changes made from your original design, but the communication from our end is always very quick. You can pay for your order by credit card in our secure shopping cart. You may also pay by check, either by mailing it to us or by giving it to your campus rep; however, we must receive payment before getting to work on your order, so give a few more days of lead time if paying by check. Can I have everyone in my group pay for their items individually? 1. The organizer must specify how long to keep the link active for. 10-14 days before the items need to be delivered is usually a safe deadline date. 2. The organizer must specify a minimum to be ordered so that we can price the items accordingly. This minimum must be met by the deadline date (#1 above) for the order to take place. Otherwise, all orders will be refunded. Once the deadline is hit, the order link will be closed, the order organizer will receive a list of orders + sizes for distribution, and the products will be shipped 7-10 days AFTER the order link has been closed. As a custom apparel company, we produce all of the items together in one batch, and only after the order link has been closed will we know how many to produce. How do I set up a group order link? The same way you initiate a bulk order! Once we finalize the design, rather than send you an invoice and a bulk payment link, we'll provide you an order link to send around to all of those interested in purchasing. 1. Submit a request on our Start an Order page. Even if you don't have all of the information finalized, fill out as much as you can so we have a good starting point for discussion. 2. Save a design in our Design Studio. Once you save a design, a member of the Clothes On team will get in touch with you to see if/when/how you'd like to proceed. Campus reps are students just like you on your campus who think Clothes On is just as cool as we do, and decided to work for us! Campus reps are around to answer questions about the company, guide you through the order process, let you know about the promotions and discounts we're running at any given time (we always are), and generally act as our eyes and ears on your campus so we can be even better for you. So become one! We're constantly looking to expand on as many campuses as we can, so who better than you? Just drop us an email at reps@clothesonshop.com and we'll get back to your ASAP. Who can I contact to discuss partnerships, advertising, or promotional opportunities?